As I mentioned in my debt update post yesterday, I am working on a new budget for the beginning of 2019. This is my first pass at it. For the first time, I have removed all business related line items. With my new structure and organization, my business related costs are 100% covered by my business income/account. It feels so good to be a stable place again. Auto Costs – While my car is older, it is still pretty reliable. I decided to break out the monthly fuel cost from the maintenance costs. The maintenance/fee costs are not used every month and are growing a buffer for the time when I do need to put some money into the car. Savings – This fall I did not save at all. I established a $1000 EF with my Self Lender account this summer and just left it, focusing instead on debt payments and getting back on solid ground. I have set a goal to save an additional $1000 in that fund this year. That is the $84 per month. I know a $2,000 EF is not much, but I’m taking baby steps I feel good about. Debt – Unlike my last budget, I included my debt outlays in this budget. And I anticipate these number will change before this budget will take affect in January, but this is my jumping off point and where I am today. I’m anxious to get our monthly spending below the $2,000 threshold. That just seems like a good number in my increasingly frugal mind. But I feel like we are living pretty close to the minimum with our spending as is. Do you see anywhere we might could cut out? My eye immediately goes to groceries but with two grown, working, college attending men and a growing teenage daughter, I just don’t see that as going down while they are all still at home. But I’m been scouring recipe books and sites to come up with some ideas. Meal planning and prepping definitely helps me keep it under control. We restocked the pantry when we returned from Texas with canned items and bulk items from Sams Club. I am waiting on a meat sale at our local Quality Food grocery store to stock the freezer. Perhaps a quarterly “eat through the pantry” month would be a good way to help with these. We took it down to almost nothing with our No Spend October and part of November. Hope–Are yo having the twins contribute to the household budget at all? I am of the school of though that if they should be! even if it is a token amount of $50 or so a month. it gets them into the habit of paying bills. You could even consider putting half that token amount into savings for them to help with the eventual move out costs. Good question. And I completely agree with you. They are both currently covering their own car insurance, cell phone bills, personal hygiene and clothing. I am providing food/shelter when they eat at home that is. If they go out, they pay for themselves. They both live by a budget that we sit down and revise every quarter. In fact, I just told them to start thinking about their own winter budgets along with what when right and what went wrong the current budget. We are going to have their budget conversations before Christmas so they start the new year with a goal. Hope, I think you are letting your focus get scattered. Now in your budget you have made several different ‘saving’ subcategories, are still paying over the minimum for your, and you want to pay money toward your deferred student loans too. It’s this same lack of focus that has made this debt payoff journey of yours last so long. You need to make minimum payments (aka $382 or whatever on the car and $0 on student loans) on your debts, and decide on an emergency fund. Maybe the $1,000 is adequate for the next few months. Then pick ONE debt to pay all your extr amoney towards. Stop splitting your focus between the 5 new buffer accounts, and raising emergency funds, and paying more than minimum on several things. Once you accomplish your closest goal (aka paying off collections #2 then reassess. EF of $1,000 still working ok? Then put all your money to the next debt, whether that be collection #3 or your credit card. You owe $499 on collections #2 (the apartment). If you took the $246 you budgeted this month for the debt payment, plus the extra $80 you’re paying on the car, plus the $84 for savings, the $80 for car maintenance, you would have more than enough to just knock that out completely…this month!!! Additionally, $150 for misc. clothes and entertainment is way too much. You already purchased new clothes for your daughter and your older boys are paying for their own clothes. Unless YOU really NEED clothes, this category should be eliminated or cut way down. You could also probably cut your food budget by at least $50, leaving you an additional $200 to put towards debt this month (i.e. collections #3). And if you snowballed all of that in January, you could almost wipe out collections #3 in January! If I am not mistaken $246 is her minimum payment on that debt. She’s hoping to knock that out this month with extra money and than if I am not mistaken the money she is paying on it will be rolled into her student loan income based repayment in March when it comes due. The good news is your numbers are going in the right direction. Your debt totals are going down. If you don’t finish collections off this month you could finish it in January leaving that money available for student loan income based repayment(with a decent chunk going to principle to keep that number going down.) Once they set that number your focus should be in my opinion to get that credit card total down and to the point where you pay it off as you go again(kill it in increments of $500, make your goal to get it below $3000 then $2500, then $2000 etc, etc). If you try hard Hope I could see you killing the auto loan next year leaving you mainly with that student loan by 2020. Why does Collections 3 say $0 payment? You’ve said you have diabetes but the only medical related expense I see is the health insurance. Where are you paying for your doctor visits and prescriptions? I have diabetes as well and have regular doctor appointments and prescriptions for test strips and medication. I might be in the minority but I think $600 for groceries is reasonable for 3 adults and a teenager, provided you are eating all meals at home. I don’t see you able to shave too much off of that. I would cut your groceries to $500 a month, reduce your misc/entertainment to $100 a month, reduce car fees to $50 a month, and eliminate the $84 to emergency fund. That reduces your expenses about $260 a month. Put that $260 extra towards collection debt and then your credit card debt until it’s gone….then increase your emergency fund. So what is this Medicaid notation? How does that figure in? Who does it cover? And isn’t your “health insurance” one of those Christian communal plans? That’s not insurance. I agree with Gwalz–based on this, you don’t have spending to cut. At some point you will have to accept that a certain amount is what it costs you to live and not try to stupid frugal your way out of debt. I love that you are looking forward and planning for next year. I would suggest signing up for the Frugalwoods challenge, the author usually starts it on January 1st and (similar to your no-spend November) is a month long challenge to examine every expense in-depth. Things to consider in your budget that could be trimmed: the food budget has some wiggle room as do the utilities. I like the idea of growing the emergency fund but would not do the car maintenance/fees at the same time (if your car breaks down and must be fixed, that is an emergency and you tap the emergency fund). In my opinion, kids activities should be included in entertainment and should definitely be lower than $200; I don’t know what you are looping into entertainment but a Hulu, Netflix, and Amazon Prime membership would run about $30 so to have entertainment at $100 would still be quite a bit. 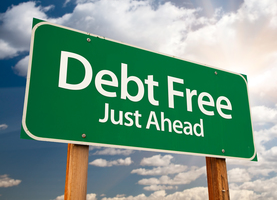 I also reviewed your debt update and if you are averaging ~$1,000 a month toward debt than, if you could stay on track, you would have only student loans left by the end of 2019! I know this is a big-thought, with the success you had with your no-spend month carrying over – why not do a frugal year and make some enormous strides? Pay the minimum payment on the car! The extra you are paying is not the best use of your dollars! Credit card – this is your highest interest, (once the collections are gone) you need to be paying ALL available debt dollars to this and get it gone! If you started in December (with the snowball plan) it could be gone by the end of spring. ONLY AFTER the two collections and credit card are paid off do you start paying extra on your car. At this time, I would imagine the student loans would kick in, you pay the minimum on those and the rest to the car! And when you make your payment every month for the car, confirm with them that they are applying your extra payments to the principal and not just pushing your due date forward. Finally, when the only debt you owe is the student loans do you start tackling them. Don’t worry about paying the interest on them now, the interest rate is nominal compared to the others. I have been following your journey since the beginning and it seems that the tide is finally starting to turn your way, please know that all of our advice is with your best interest in mind! Get rid of the collection accounts. There’s a lot of emotional baggage with those. Your spending is pretty barebones, so you’re better off hustling to earn more cash than looking for $10 to cut. Also, I’d rather see you add more cash to your savings account than pay extra on the car right now.